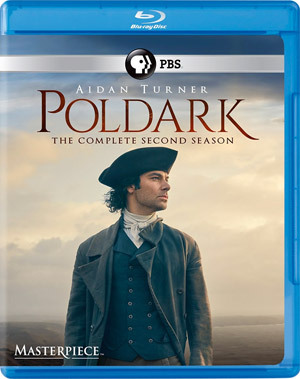 PBS Distribution just announced the upcoming release of Poldark: Season 2, bringing the PBS Masterpiece television series to Blu-Ray Disc and DVD later this year. The returning cast includes Heida Reed as Ross Poldark’s (Aidan Turner) first love, Elizabeth, who broke his heart by marrying his duplicitous cousin Francis, played with intriguing ambiguity by Kyle Soller. Also back are Jack Farthing as George Warleggan, the arch-villain who would rather see Ross dead, a situation he does his best to arrange; along with Philip Davis and Beatie Edney as Ross’ exasperating servants, Jud and Prudie Paynter. New this season—or thrust into prominence from last—are Gabriella Wilde as Caroline Penvenen, a flirtatious young heiress under the watchful eye of her rich uncle, Ray, played by John Nettles; Luke Norris as earnest young doctor Dwight Enys, who only has time for his patients—and for Caroline; and Henry Garrett as Captain McNeil, Ross’ old comrade from the war, now hunting smugglers and an opportunity to woo a certain married lady. As “Poldark: Season 2” begins, Ross stands accused of murder and “wrecking”—luring a cargo ship to the rocks for plunder. It’s a capital offense, the judge is unsympathetic, hostile witnesses have been bribed and Ross appears headed for the gallows. 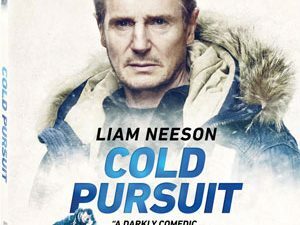 It’s just the first in a string of suspenseful episodes every bit as precipitous as the steep cliffs of Cornwall. No information has been released as to bonus materials, but on three discs, the release will contain all 600 minutes of the show’s second season. “Poldark: Season 2” will make its way to stores on November 22 for $54.99 on Blu-Ray Disc and $44.99 on DVD.